The ultimate look for a beach cottage or shabby chic inspired retreat, the Willowton Twin Storage Bed by Ashley Furniture carries you away to a dreamy time and place. 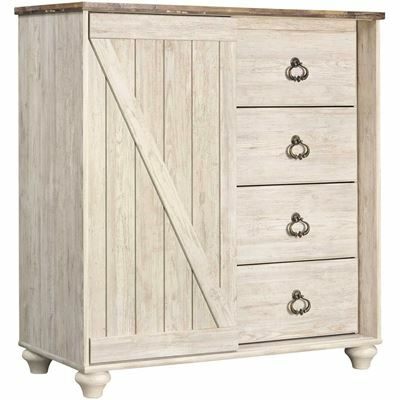 Its driftwoody, whitewashed finish is wonderfully easy on the eyes. 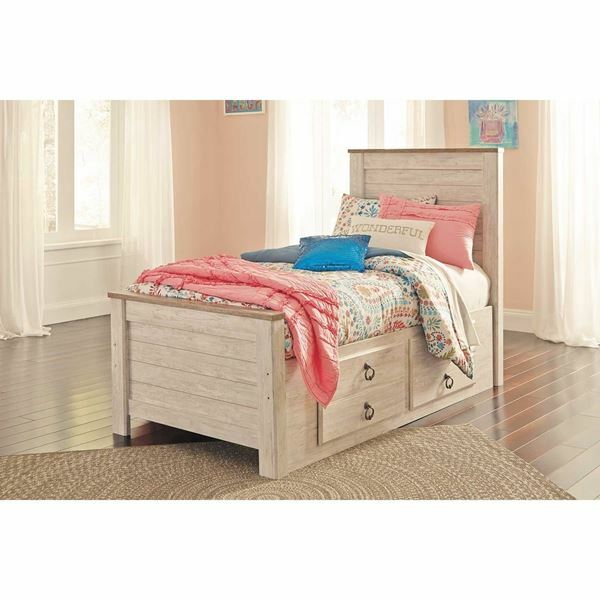 Plank-style detailing on the headboard and footboard incorporates a classically rustic touch that is homey and comforting. 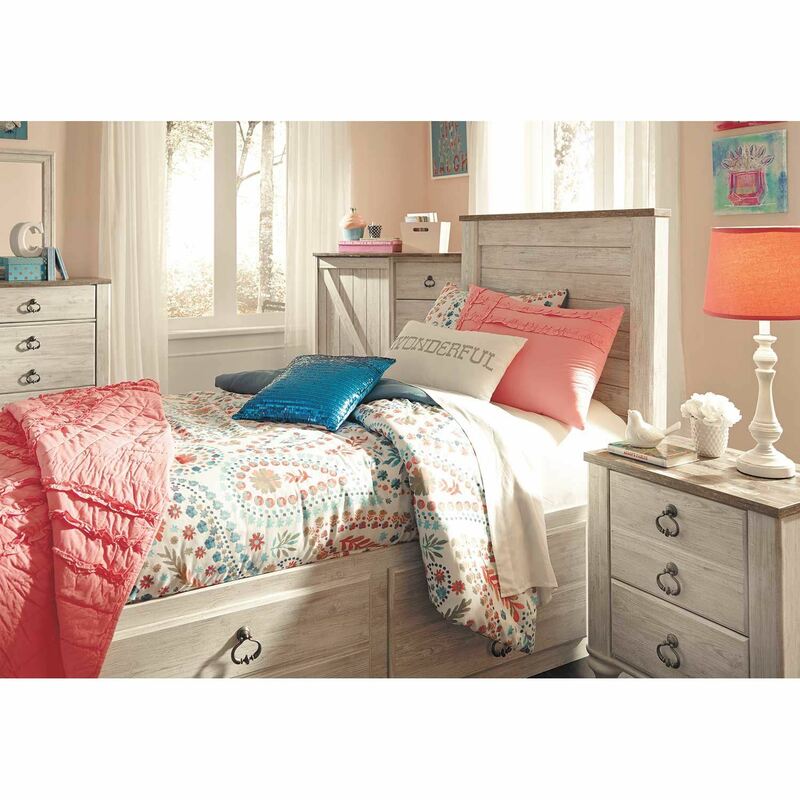 Four drawers provide convenient underbed storage. 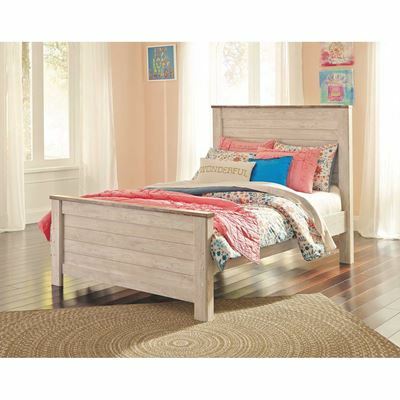 The ultimate look for a beach cottage or shabby chic inspired retreat, the Willowton Twin Storage Bed by Ashley Furniture carries you away to a dreamy time and place. 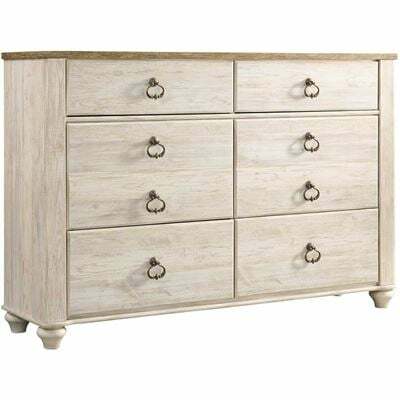 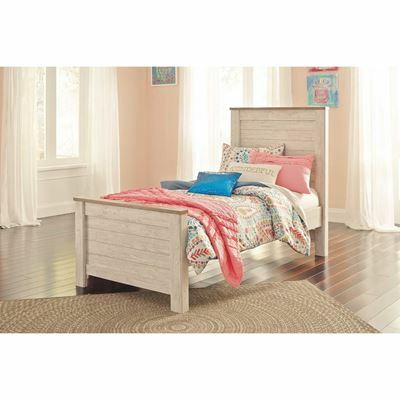 Willowton Twin Panel Storage Bed by Ashley Furniture. 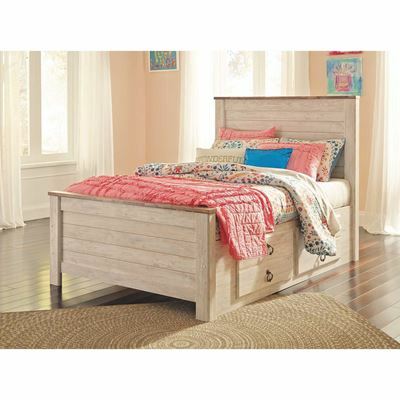 Bed includes headboard, footboard, rails, underbed storage with side rails. 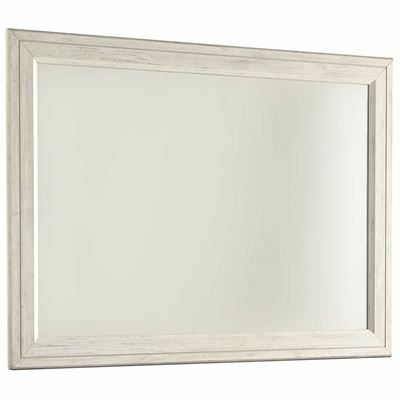 Two-tone laminate finish replicates white wash and a worn-through paint finish with authentic touch. 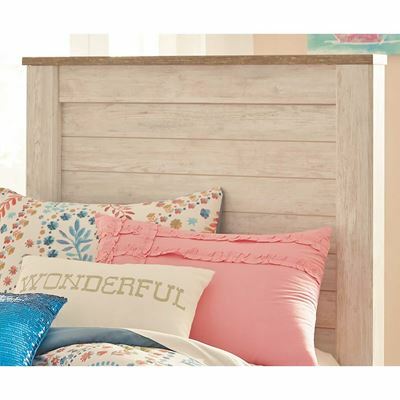 Top features replicated wood grained block pattern. 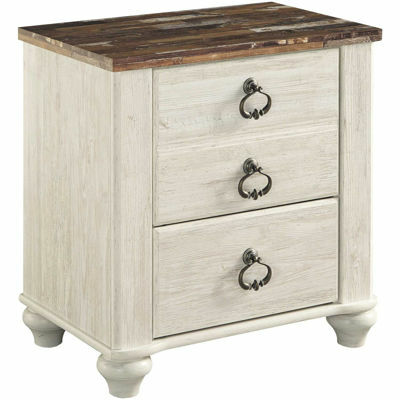 Assembly required if not delivered by AFW. 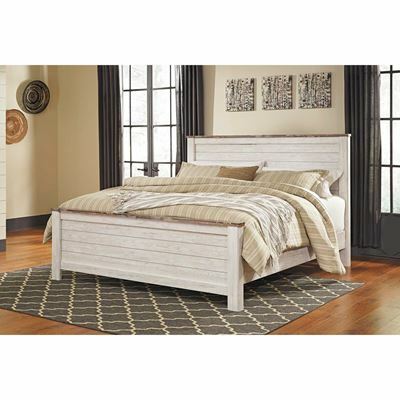 The two-tone white wash replicated worn through paint finish creates a beautiful look of the vintage casual designed Willowton bedroom collection. 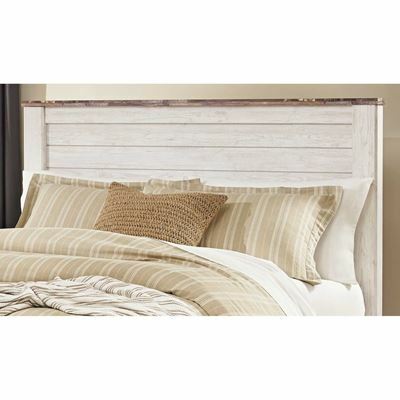 It creates a warm inviting style that fits comfortably into the décor of any bedroom.